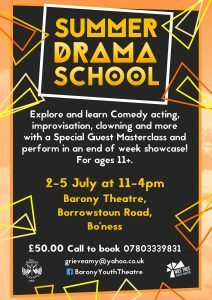 BYT are delighted that the successful Youth Summer Drama School is returning this year at teh Barony Theatre. 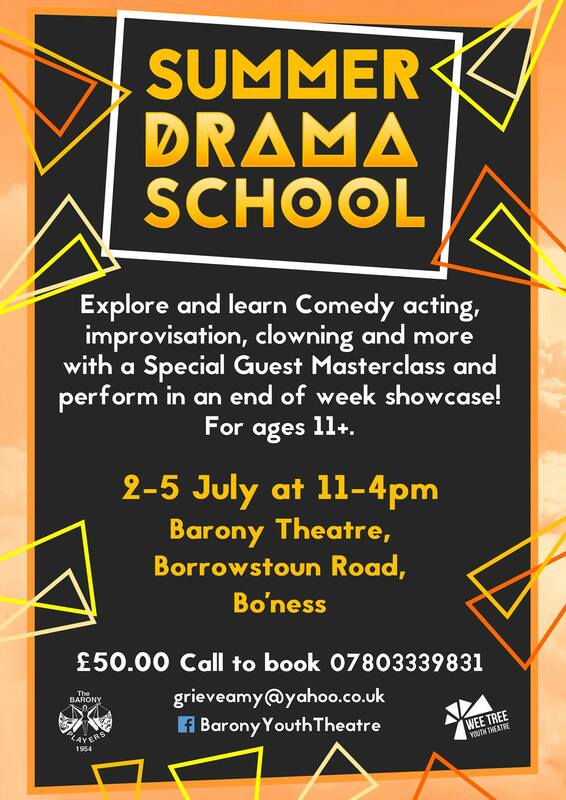 Running from 2nd – 5th July, it promises to be and action-packed and fun-filled experience. The Barony Players are delighted to announce our Spring 2018 production as Graham Linehan’s stage adaption of the Ealing comedy classic, The Ladykillers. Rehearsals are well underway as is a traditional “Barony set build”. Tickets are now on sale via our online Box Office or by calling 07541 346639 and are already selling fast. The Ladykillers is a classic black comedy; a sweet little old lady, alone in her house, is pitted against a gang of criminal misfits who will stop at nothing. Posing as amateur musicians, Professor Marcus and his gang rent rooms in the lopsided house of sweet but strict Mrs Wilberforce. The villains plot to involve her, unwittingly, in Marcus’ brilliantly conceived heist job. The police are left stumped but Mrs Wilberforce becomes wise to their ruse and Marcus concludes that there is only one way to keep the old lady quiet. With only her parrot, General Gordon, to help her, Mrs Wilberforce is alone with five desperate men. But who will be forced to face the music?